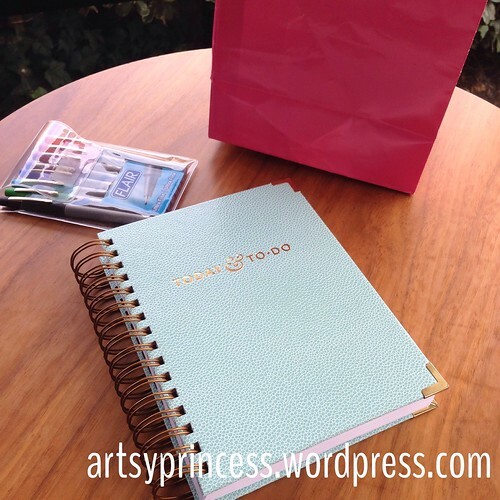 Planner | Living life in the carpool lane..
Last week, I wrote about how I won an Emily Ley Simplified Planner. You can read about that here. 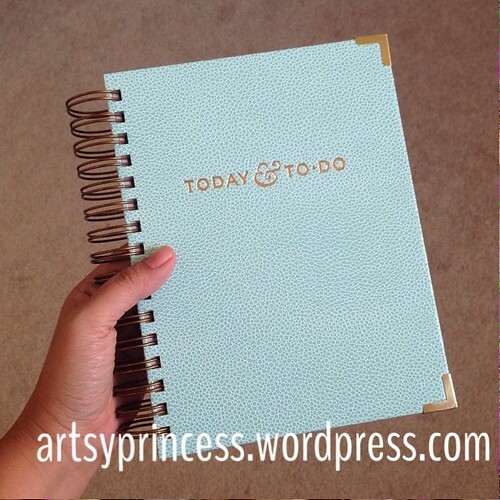 Today, I’m going to talk about the current planner I am using, the Today & To Do by The Day Designer. I looked hard for a planner that I thought would fit my life and I felt that this would be the perfect one. This planner is undated. That meant that I could start it at any time and I can take a break without feeling that I would waste the book by skipping dated pages. Each day has it’s own page. What I love about this page is the long To-Do section on the right side of the page. I don’t usually have a lot of appointments, but I usually have a long list of tasks to complete, so the layout of the page seemed perfect. To write in my planner, I use Papermate Flair Ultra Fine pens. I bought an 8-pack multicolor set on Amazon on the same day that I ordered the planner. I love the ultra fine tip. There is minimal bleed through of the ink on the other side of the page, and I love the bright and fun colors all over the pages of my planner. I love this planner. This is a high quality planner with high quality paper. I love the way the pen feels on the paper. It’s a smooth writing experience. I once felt that I needed a “day-a-page” spread, but I’m coming to find that I don’t. My days aren’t THAT busy… I started finding myself writing mundane tasks just to feel like I’m making the most of the planner. Also, as I mentioned above, I don’t have many appointments. I’m starting to think that a weekly spread planner will serve my ‘organizing’ needs more. With that said, I will still use this planner. Once the Emily Ley planner goes into effect, this Day Designer planner will become more of a ‘memory keeping’ planner. I already do a lot of memory keeping in it already. The right side of the planner still lists the tasks that I need to do for the day, but the left ‘scheduling’ side of the planner has become more of a ‘memory keeping’ side. I’ve been putting down K’s milestones, the interesting things M says, things that are worth remembering, on that side. It’s another outlet I have to express my creativity and remember the moments in our fast-paced lives. The Day Designer Today & Today costs $57 and can be found on the Day Designer website. 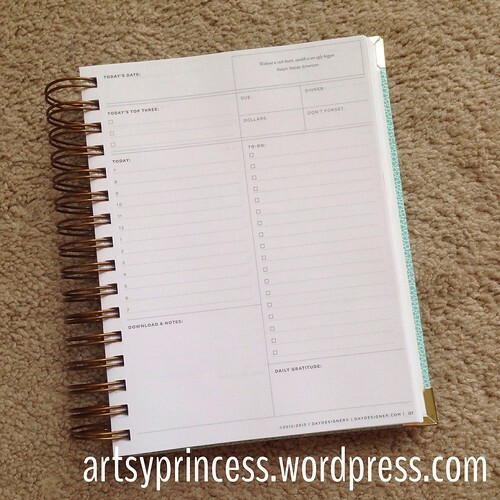 What planner do you use? How do you like it? This is NOT a sponsored post and the link is NOT an affiliate link. My Day Designer was also designed by Whitney English. I’m glad you like your planner! Great blog post on it! I noticed you use sharpies in your planner. Do you get a lot of bleed-through with the ink?! It depends on the planner I use, my last planner had thicker pages and bleed-through wasn’t a problem. With this planner I have to be more careful with the thinner pages. Highlighting tends to be a better option! 3 | Things my daughter says… big girl talk.. | Living life in the carpool lane..
5 | Memory Keeping | Living life in the carpool lane..